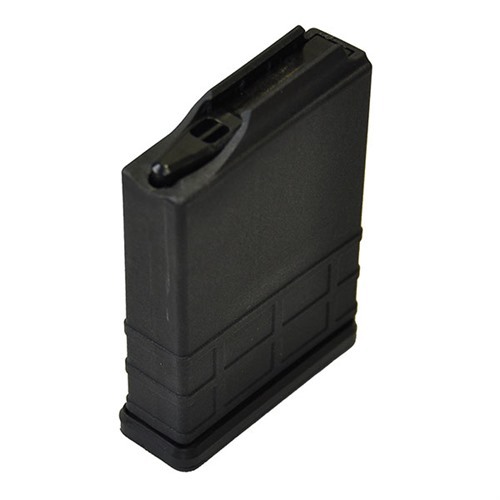 The MDT Detachable Box Magazines are designed to fit the MDT Chassis systems, as AICS style bottom metals & chassis. Available in 308. Manufactured from high quality polymer, with a tempered steel spring. 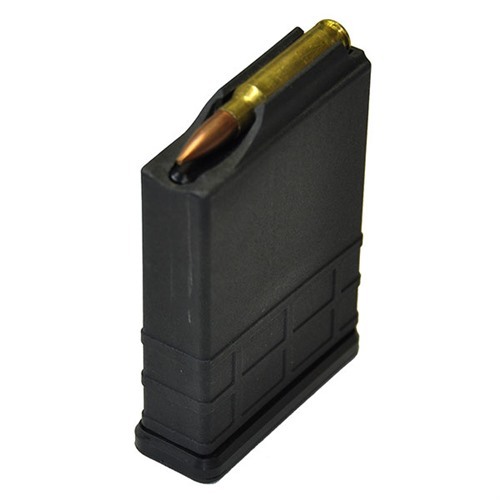 308 magazine is also compatible with .308, 22-250, .243 and 6.5 Creedmoor. Maximum cartridge overall length for the 308 is 2.800". SPECS: Fits AICS style bottom metals and chassis. 308 works with .308, 22-250, .243 and 6.5 Creedmoor. 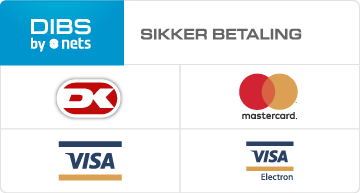 MDT aftagelig boks magasiner er designet til at passe MDT Chassis systemerne, som AICS stil bunden metaller & chassis. Tilgængelige i 308. Fremstillet af høj kvalitet polymer, med en hærdet stål foråret. 308 magasin er også kompatibel med 308, 22-250,.243 og 6,5 Creedmoor. Maksimale patron længde for 308 er 2,800". Specifikationer: passer AICS stil bunden metaller og chassis. 308 værker med 308, 22-250,.243 og 6,5 Creedmoor. Tried it in my Rem700 with the LSS chassis. Works perfectly every time. Bought for a Rem 700 308win in the MDT Tac21 Chassis. works great and at half the cost of the actual AI mags. Will definitely buy again. These are a great mag. They work perfect right out of the box. Compared to the AICS mags I own, the MDT mags blow them away. The MDT mag is 1/2 in. shorter than the AICS and is a about 1/2 the weight, not to mention 1/2 the price. The AICS mags I had to spend about 30 minutes tuning(bending) them to get them to feed reliably, but they still scratch the brass badly. After I put both brands of mags through my non scientific torture test ( I am not kind to my equipment ) The MDT is a step above AICS , where the AICS has dented/bent the MDT has scratches. Also the MDT and AICS I own are have a 10 round capacity. With the MDT in a smaller package, lighter and more durable at half the price, you can't go wrong! Not a bad 8 round magazine. However, it does not hold 10 rounds. 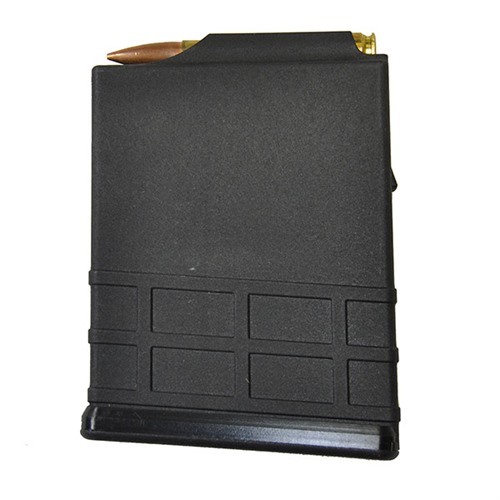 MDT website states that this magazine fits 9 rounds tops. 9th round is very tight (very hard to cycle) and 10th is not possible. Saving a 1/2 inch vs. a factory AICS does not seem to be an advantage when you sacrifice 2 rounds from magazine capacity. Might be worth the $ saving for some, but I want to know about a price vs. functionality trade-off before I get hands on a product. I'm pretty sure they initially advertised this as a 10 rounder. Either way, I can hardly squeeze in 8 rounds of 308 into this magazine. Function seems to me good though. I hope Brownells gets in the Magpul AICS magazines soon. I bought this to save a few bucks and see if it would fit my Remington 700 with the Magpul detachable box magazine (AICS style) it fits perfectly and it also fit 10 rounds tightly but 9 perfectly. With 10 rounds in the magazine the top round hits the bolt when installing it with the bolt closed. With the bolt open it works fine and cycles all the rounds with out a hitch. With the polymer magazine you don't have to worry about your brass getting scratched up as I have had with steel magazines. These are less than half the cost of 308 10 round accuracy international mags and work great. I will be buying more soon. They are comparable in quality to the Magpul - pmag magazines. Due to opening on magazine this will not work for 168 or greater loads. Just too narrow. It would be good for hunting with lighter load. 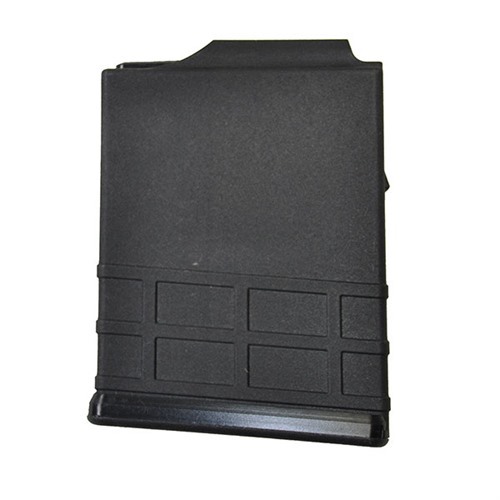 My advice, order 100017581 which is the PMAG 10 AC 7.62X51 10RD MAGAZINE. Works much better. Mfr Part: 102232BLK 797698470863 MDT aftagelig boks magasiner er designet til at passe MDT Chassis systemerne, som AICS stil bunden metaller & chassis. Tilgængelige i 308. Fremstillet af høj kvalitet polymer, med en hærdet stål foråret. 308 magasin er også kompatibel med 308, 22-250,.243 og 6,5 Creedmoor. Maksimale patron længde for 308 er 2,800".